Tradescantia is a perennial room grassy plant, belongs to the family of Commelinaceae. Now it is already not so popular, as earlier. And after all once the tradescantia could be found not only in the apartment, but also in any public place. But also today the tradescantia is landed periodically on beds. 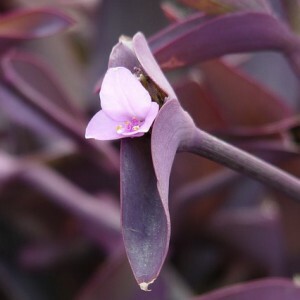 For the beginning flower grower there is no more acceptable houseplant, than a tradescantia. This perennial is both attractive and unpretentious. Today the tradescantia is among the most popular ampelous plants, used for cultivation in room conditions.